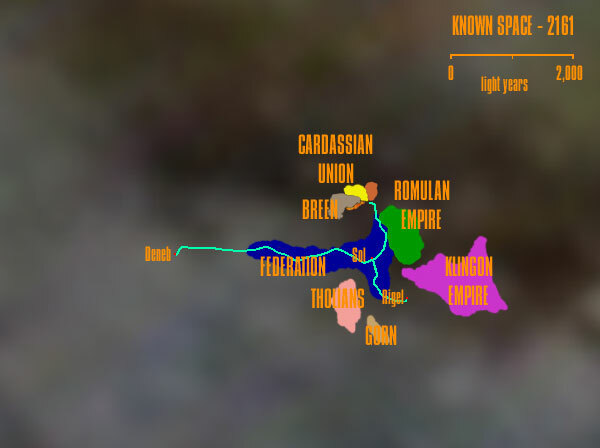 The layout of the main powers as of 2161, shortly after the founding of the United Federation of Planets. These maps differ from almost every official and un-official source you will ever see. For details of why I've made the choices I have see our Maps article.